Use the Wild Bills Pole Adapter Kit to mount a Wild Bills Electronic Squirrel Proof Bird Feeder to a pole. 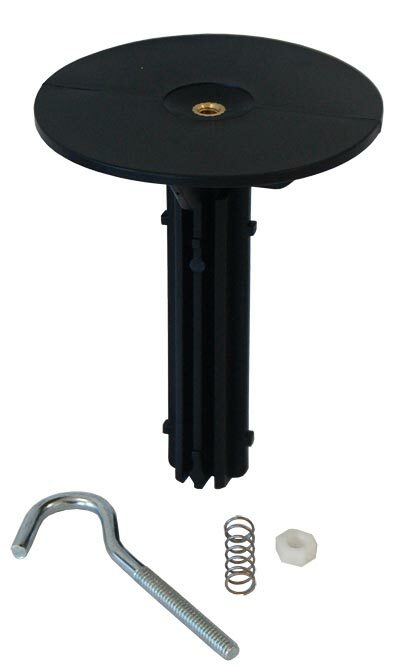 This adapter works best with poles that have a 1.125" inside diameter. For added versatility, file the tabs on the shaft off to use with 1" inside diameter poles. The plastic plate holds your Wild Bills feeder securely, and the included hardware ensures a proper fit. Pole mount your existing Wild Bills Electronic Squirrel Proof Bird Feeder with help from this Pole Adapter Kit.